SELLER WILL CONSIDER OFFERS BETWEEN $200,000 AND $275,000 – ACCEPTING OFFERS NOW!! A. The Seller will consider all offers between $200,000 and $275,000. B. Buyers should consider the Purchase and Sale Agreement attached but are not required to use. C. The Seller reserves the right to accept, reject or counter the offers. E. Offers are being accepted now. F. Offers should be emailed to manny@defalco.com or faxed to 561-391-3911. DON’T MISS THIS OPPORTUNITY TO PRICE AND OWN YOUR HOME IN CITRUS GLEN/ CITRUS TRAIL!! 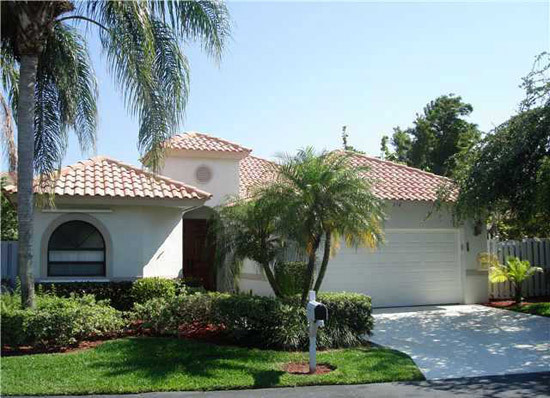 WELCOME TO CITRUS TRAIL OF CITRUS GLEN, A COUNTRY CLUB LIFESTYLE IN A FAMILY-FRIENDLY COMMUNITY SETTING. THIS LOVELY COURTYARD HOME OFFERS SOARING CEILINGS IN A BEAUTIFUL OPEN FLOOR PLAN WITH OVER 2,400 TOTAL SQFT. THIS HOME OFFERS A SEPARATE MOTHER-IN LAW SUITE OR OFFICE ALONG WITH A PRIVATE POOL AND PATIO. WELCOME TO PARADISE! DON'T MISS YOUR OPPORTUNITY TO PRICE YOUR HOME!! -Head West on Gateway Blvd. Lawrence Rd. -Turn Right and Head North on Lawrence Rd.